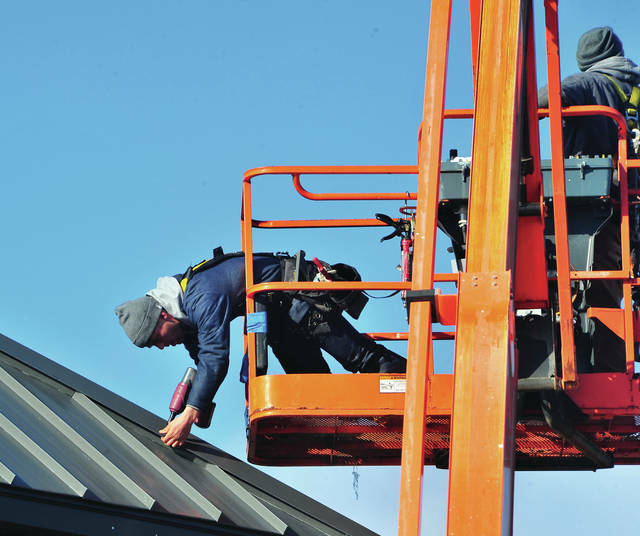 Mike Ullery | Miami Valley Today Workers from Harlow Builders in Troy brave brisk temperatures on Tuesday as they work on the roof at Sherwood Shopping Center. Workers from Harlow Builders in Troy brave brisk temperatures on Tuesday as they work on the roof at Sherwood Shopping Center. https://www.tdn-net.com/wp-content/uploads/sites/21/2019/02/web1_021219mju_harlowbuilders1.jpgMike Ullery | Miami Valley Today Workers from Harlow Builders in Troy brave brisk temperatures on Tuesday as they work on the roof at Sherwood Shopping Center.